"It has a gorgeous sound, and conductor Yiu-kwong Chung drew a wide range of dynamic contrasts and emotions from the group." "A master storyteller, Chung writes with a bold expressiveness that could come across as phony- yet it does not.....This is a name to watch for." 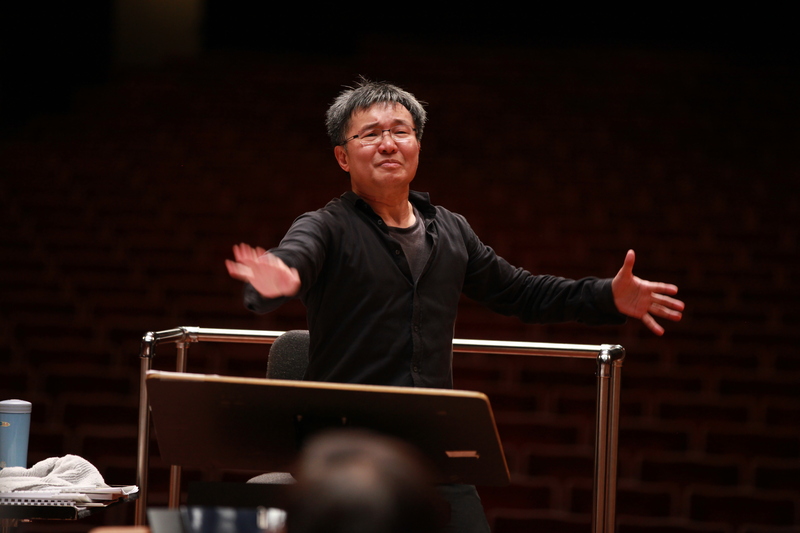 Yiu-kwong Chung is Taiwan's best known and most often performed composer and was the General Director of the Taipei Chinese Orchestra (TCO) from 2007 to 2015. During his tenure with TCO, he has written concerti for numerous top-class soloists including percussionist Evelyn Glennie, trombonist Christian Lindberg, saxophonist Claude Delangle, cellists Mischa Maisky and Anssi Karttunen, flutists Pierre-Yves Artaud and Sharon Bezaly, in addition to renowned Kronos Quartet; all were world-premiered by the TCO. In June 2012, he conducted the orchestra’s European Tour (with soloist Evelyn Glennie) and staged performances in Bridgewater Hall in Manchester and Le Théâtre du Châtelet in Paris that brought immediate international fame to the Orchestra. From 2009 to 2015, he has produced six CD’s released worldwide by Swedish BIS Records. He wrote music for the 4D movie displayed in the Taiwan Pavilion at 2010 World Expo. In March 2000, The Eternal City for Chinese Orchestra captured the 1st prize of the 21st Century International Composition Competition held by the Hong Kong Chinese Orchestra. His two bold and energetic pieces Dance of the Earth and Taiwanese Children Song, performed by cellist Yo-Yo Ma, are recorded on SONY-Taiwan's Super Charme Yo-Yo MA Album.